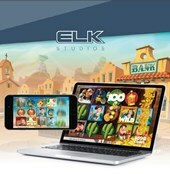 For those who like to play free demo slots online, Taco Brothers by Elk Studios is one you won’t want to miss. Talk about hilarious, superior graphics, sound, and unique special features in the droves. Free play demo games can be found at various sites or on a slot app – this one outdoes them all as far as the most progressive and entertaining. It is a little difficult to explain but once you understand the ways to win in this casino machine the tempo really picks up. A Mexican town has been subjected to a terrible crime: their beloved free taco Tuesday holiday that began in 1933 is taken away by the evil Captain Diaz. There are three Mexican brothers who are on the run with their tacos and all three turn into wilds and then shift to another reel for another spin in the bonus round. If a brother is caught he is locked up on the reel in the respin and amounts to nothing. A lovely senorita in red has the ability to get these amigos out of jail with her charm at which time they become moving wilds again to make more spin wins. If all three of the brothers on the run are imprisoned working in defense of their taco rights, the bonus round ends as well as winning coins. A respin feature is also included when 2 taco logos appear on the 5 reels. How to play Taco Brothers Slot for Real Money? Be sure and read the paytable and the information about Taco Brothers slot before playing this free demo slot. Player’s can level up three different times depending on the amount staked with each one having a special multiplier dependent on the outcome of the spin. There is so much going on in Taco Brother’s slot by Elks Studio that the excitement unfolds with every spin. This is a 243 Ways to Win Demo slot with a massive jackpot of 150,000 coins! Make a wild escape with 3 safe symbols for either a 1x, 2x or 3x multiplier. Captain Diaz when he appears with his keys will lock up a brother in prison. This feature is during the bonus round and the round ends when all three of the brother’s have been incarcerated for taco treason. There are many fine details that will keep you laughing and entertained with this absurd slot with a comical storyline.